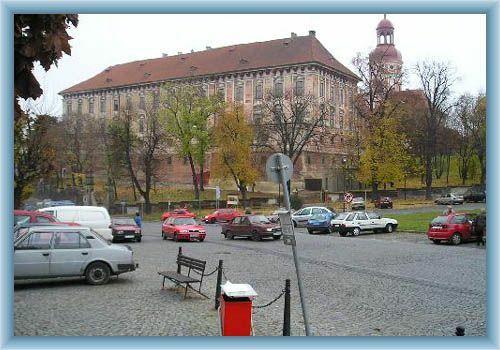 Town Roudnice nad Labem is situated in Ustecke county near the town Litomerice. Baroque castle named also Roudnice nad Labem is located in the town and around it is a park, which makes this place a romantic. At this place was originally bishop castle, which was established in the second half of 12th century. Castle was extended about one tower in year 1467. Public gallery of modern art, Town Roudnice nad Labem is situated in Ustecke county near the town Litomerice. Baroque castle named also Roudnice nad Labem is located in the town and around it is a park, which makes this place a romantic. At this place was originally bishop castle, which was established in the second half of 12th century. Castle was extended about one tower in year 1467. Public gallery of modern art, which is open for public, is situated in castle, in past riding hall.which is open for public, is situated in castle, in past riding hall.